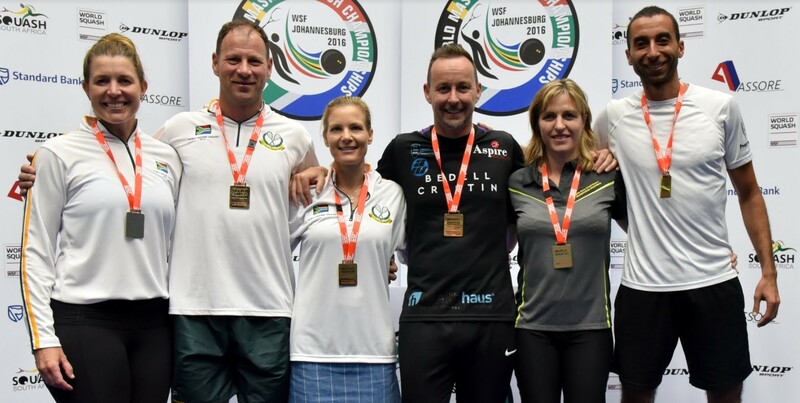 While England claimed five gold medals and hosts South Africa a total haul of 21 medals in the 2016 World Masters Squash Championships in Johannesburg, it was home player Craig van der Wath who stole the limelight after winning the Men’s Over-50 trophy to secure a record sixth World Masters title. 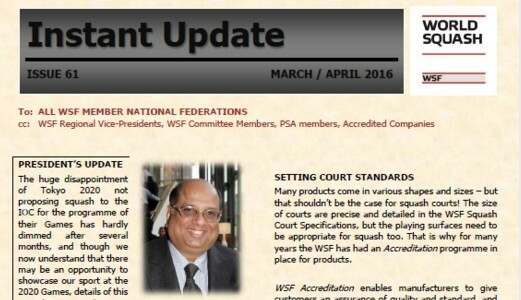 A record 951 players competed in the World Squash Federation event featuring 19 men’s and women’s events, from Over-35 to Over-80, staged at The Wanderers Club, Parkview Squash Centre and the County Club Johannesburg. 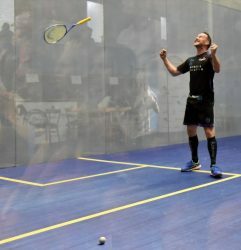 Johannesburg-based Van der Wath, who won his first World Masters title at the O35 championship in 2001, was in impressive form as he despatched England’s 2014 British Open O45 champion Yawar Abbas 6-11, 11-3, 11-3, 11-4 in the O50 final to become the first player in the event’s 33-year history to win six titles. 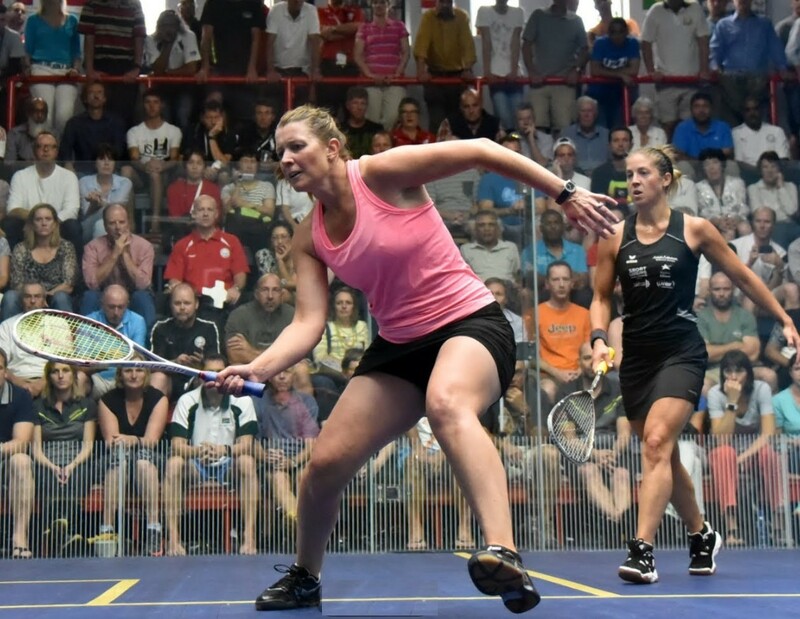 Australia’s former world No.1 Sarah Fitz-Gerald, winner of a then record five World Open titles while on the Tour, bagged her third World Masters trophy after defeating England’s Andrea Santamaria 11-4, 11-3, 11-5 in the Women’s O45 final. “It was touch and go for a while,” said the 47-year-old from Melbourne. “I had a calf injury which almost stopped me entering, so I feel really humble that I made it here and still came through to win another title. Championship debutant Mohammed Abbas became the sole Egyptian medallist after beating South African Gary Wheadon 9-11, 11-7, 11-7, 11-7 in the Men’s O35 final. 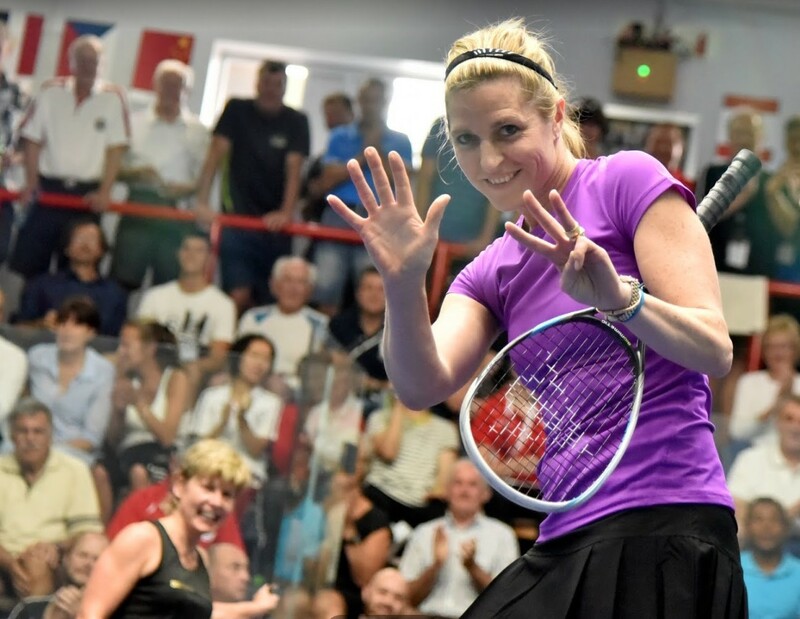 It was a rewarding home-coming for former South African international Natalie Grainger, now representing the USA, who successfully defended her Women’s O35 crown after overcoming England’s Lauren Briggs 9-11, 11-6, 11-4, 12-10 in the final. “There’s nothing like winning at home, even if it is my home away from home these days!” said the former world No.1 later. 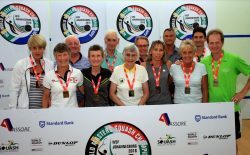 Veteran campaigner Barbara Sanderson picked up her fourth World Masters title after winning the inaugural Women’s O75 event. Victories over her three opponents gave the Armagh-born 76-year-old her latest title since first winning the O65 title in 2006. 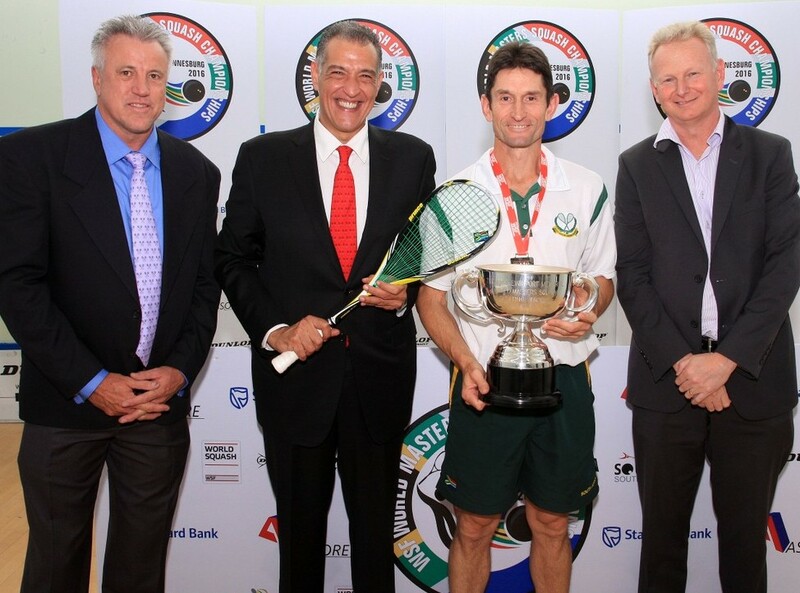 The Men’s O75 champion was Adrian Wright, the 75-year-old Englishman who claimed his fourth title since 2006 when he beat South African Desmond Sacco 11-9, 11-9, 9-11, 12-10. Proving that squash is a game for people of all ages, Englishmen Malcolm Gilham and John Woodliffe – aged 81 and 80, respectively – battled for a full 40 minutes before Gilham ultimately prevailed 9-11, 11-5, 11-6, 7-11, 11-6 to claim the Men’s O80 title. Jersey’s sole competitor progressed all the way to gold in the Men’s O45 championship. 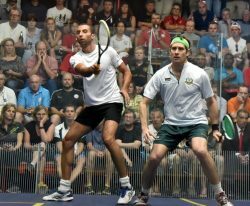 Second seed Nick Taylor fought through to the final without dropping a game – then came from 5-10 down in the first game of the final to topple top-seeded South African Michael Tootill 13-11, 11-3, 11-5 to not only win his first World Masters title, but also become ‘Player of the Tournament’. 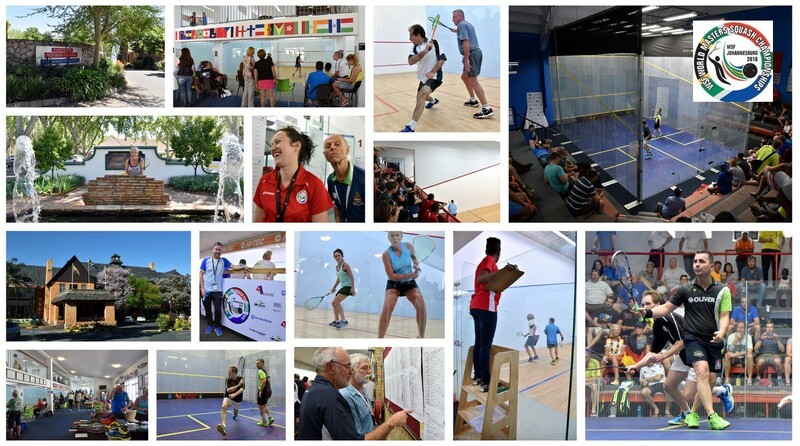 “I’ve worked hard for this,” said the former England international who celebrated his 45th birthday on the opening day of the tournament. “It’s a big event and there are a lot of people behind me to thank. 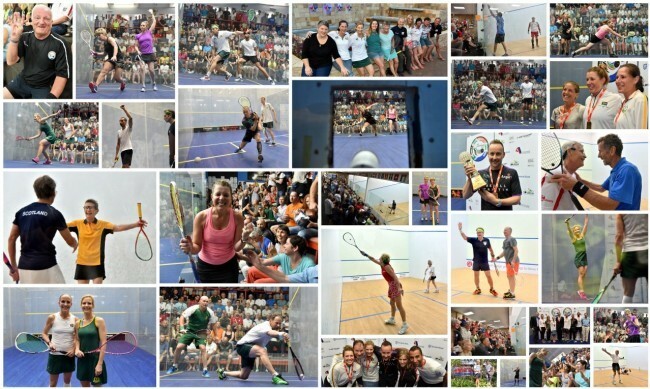 England’s Ann Manley won the Women’s O70 title after beating compatriot Bett Dryhurst 6-11, 11-6, 8-11, 11-8, 11-5 in the final. 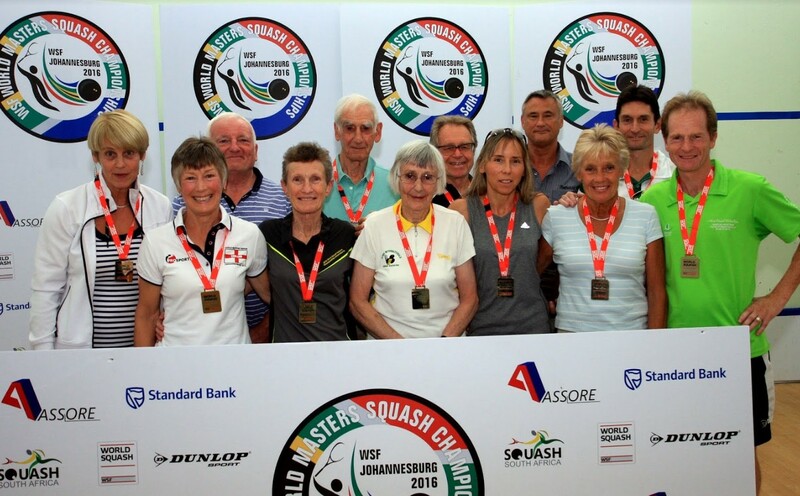 It was the 70-year-old Bristol’s third World Masters title – and the third time she beat Dryhurst in the final! 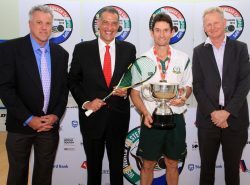 Also in contention in the Johannesburg championship for the first time was The Nations Cup – a trophy awarded to the country whose men and women across all age-groups produce the best overall performance in the championships. By a clear margin, South Africa won the 2016 Nations Cup, with England in second place, while Scotland won the award for nations with fewer than ten entrants.